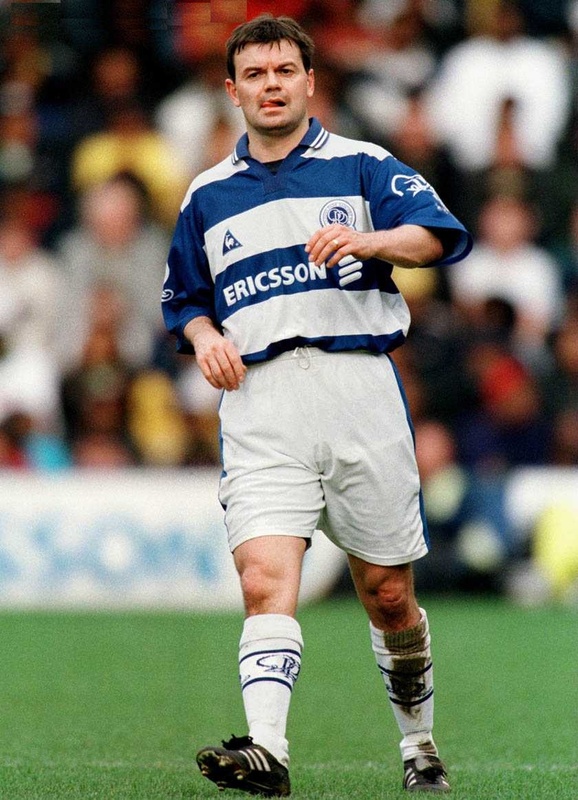 Le Coq became QPR's kit manufacturer for the 1997/98 season, and this first effort lasted for two seasons. Not the best, not the worst - the blue should be lighter. 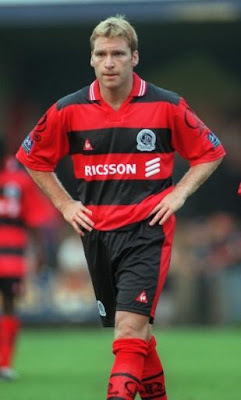 Le Coq brought back the black and red hoops after a five-year break. Nicely done, but not sure about the new-style dark background on the badge, as above.